One of the best things about living in Edinburgh is being so close to the coast. Although I’ve been living here for four years now, East Lothian is somewhere I had never been to, despite it being less than an hours drive away. A common location for city commuters to live, offering sea views and a rolling hills of the countryside. It’s definitely a place I can see us moving to when we’re older! 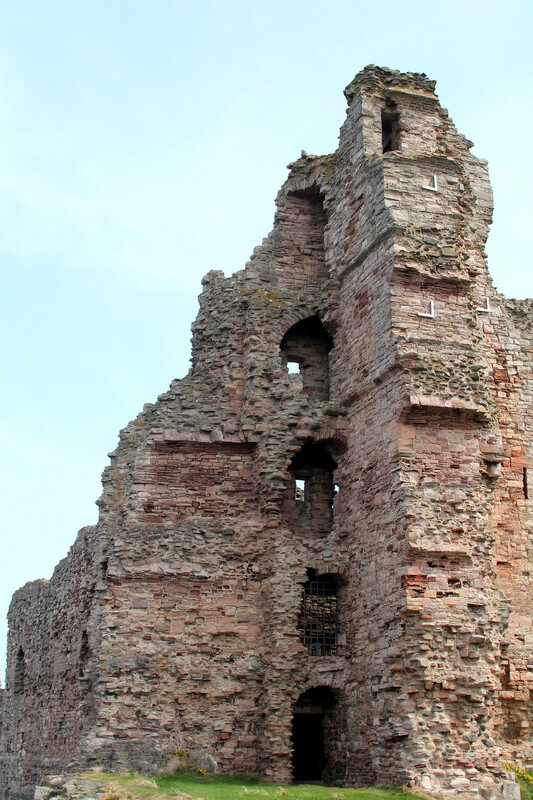 Our first stop was just under an hour from Edinburgh city centre, Tantallon Castle. What we didn’t quite appreciate before setting off here, is just how much windier things always are on the coast! 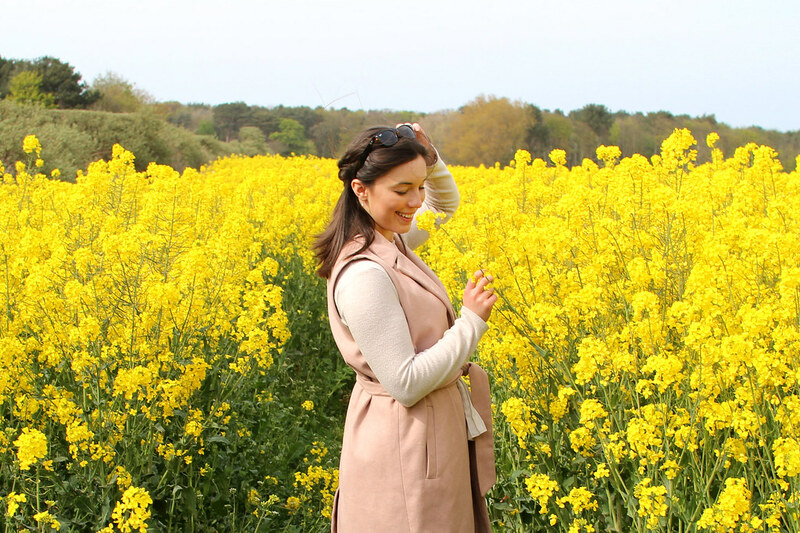 Dressed in just a light sleeveless jacket and battling against the wind, it’s definitely worth taking layers! The castle costs less than £4 per adult to enter, and gives fabulous sea views out towards the Bass Rock. The castle sits on the edge of the cliffs and was a stronghold of the Douglas family. 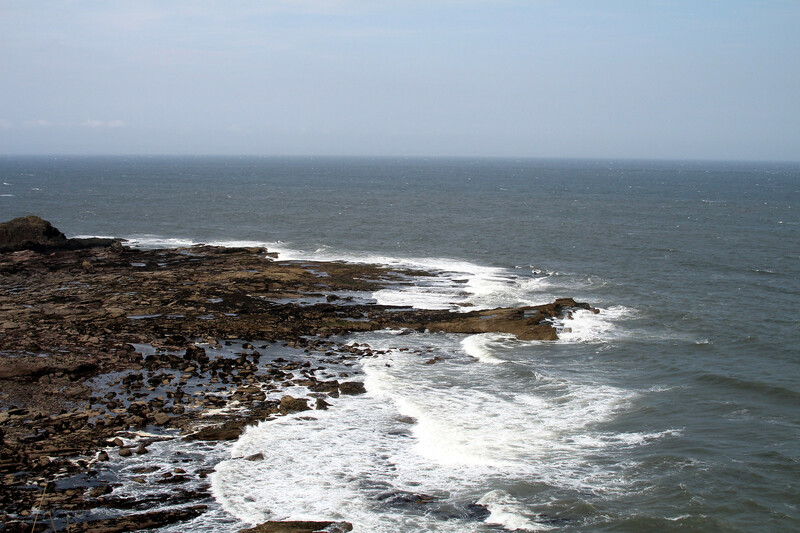 From the tower of the castle you’ll see out to the Bass Rock, which is completely covered in gannets diving into the North Sea. 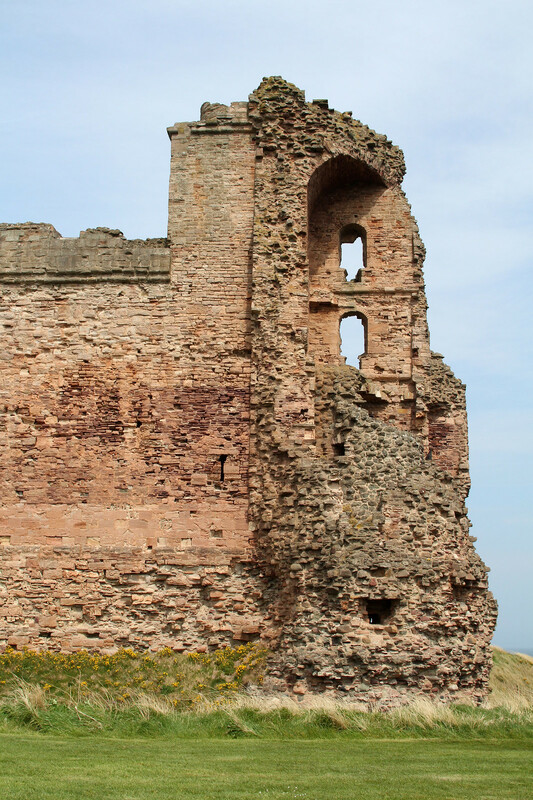 The castle is a ruin but still very accessible and well worth a visit on your way along the coast. 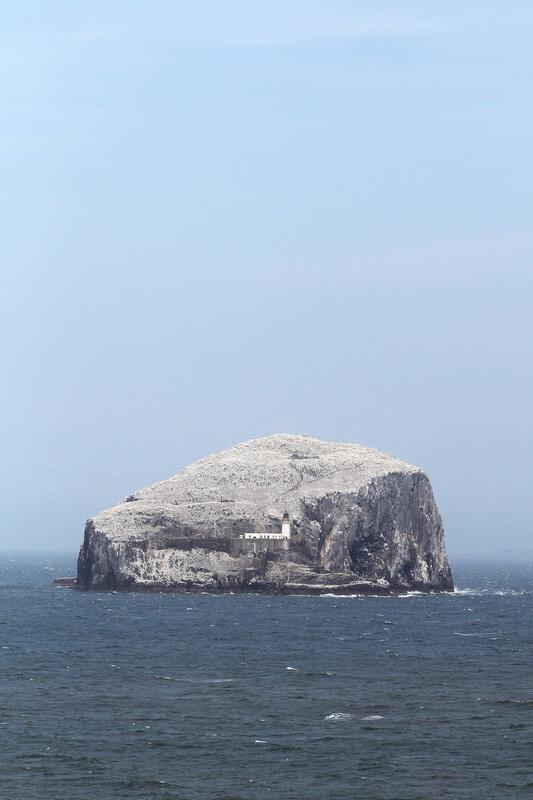 The Bass Rock is part of the dramatic landscape off the coast of East Lothian. You can’t quite anticipate just how large it actually is, even when you’re standing on the main land. Home to the biggest northern gannet colony in the world, with over 150,000 in peak season. It was formed 320 million years ago and remains one of the many active volcanoes in the area. There are several companies offering visits to and around the Bass Rock, offering an up close experience of the rock and it’s inhabitants. 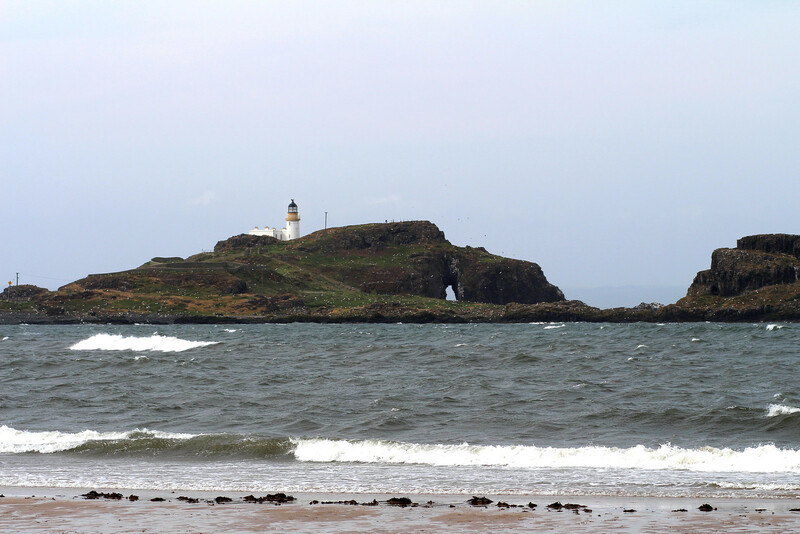 A natural cove beach with views across to the 1885 lighthouse which inspired Treasure Island, Yellowcraigs beach is a popular beach for families and individuals alike. A combination of woodlands and sand dunes, the area itself is quite extensive. 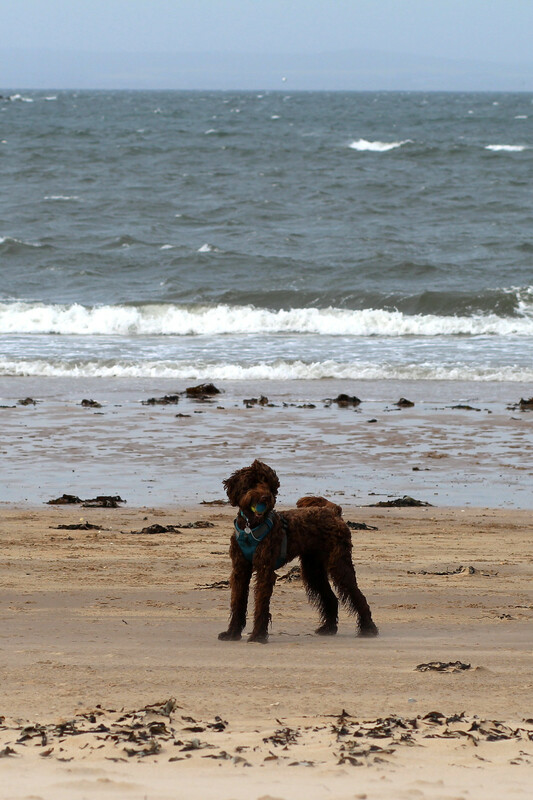 The beach and surrounding area allows for horse riding and dog walking. Although the beach is free to enter, if you intend on going by car it does cost £2 for the day to visit. This parking ticket also works across the whole of East Lothian if you’re planning on visiting other attractions. 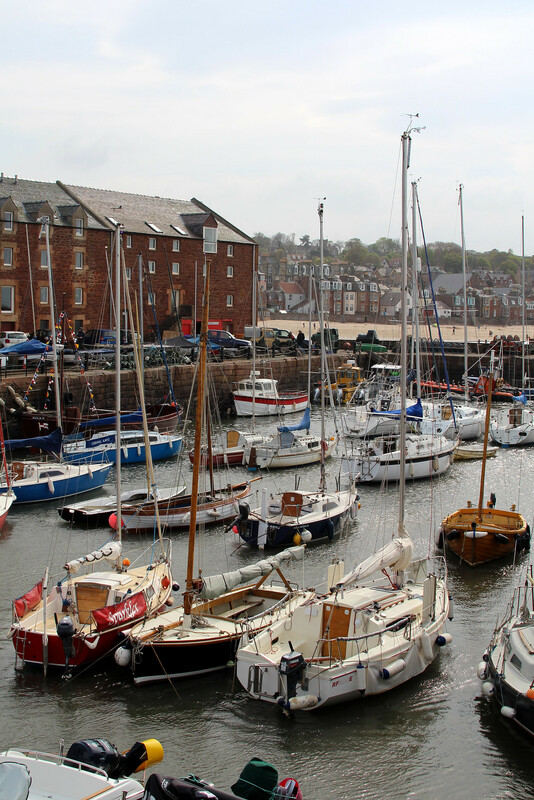 Head into the town centre of North Berwick for some lunch to enjoy some classic fish and chips. There is also a several ice cream parlours here for you to grab a treat before walking down to the harbour. 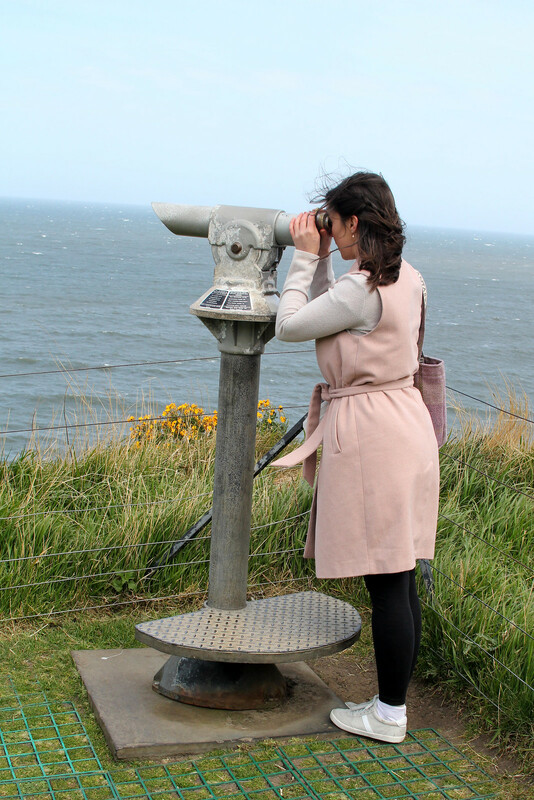 On the harbour you’ll find the Scottish Seabird Centre, which gives an insight into the Forth of Forth island wildlife. From the harbour you can also board boat trips, including the Forth Ferry. 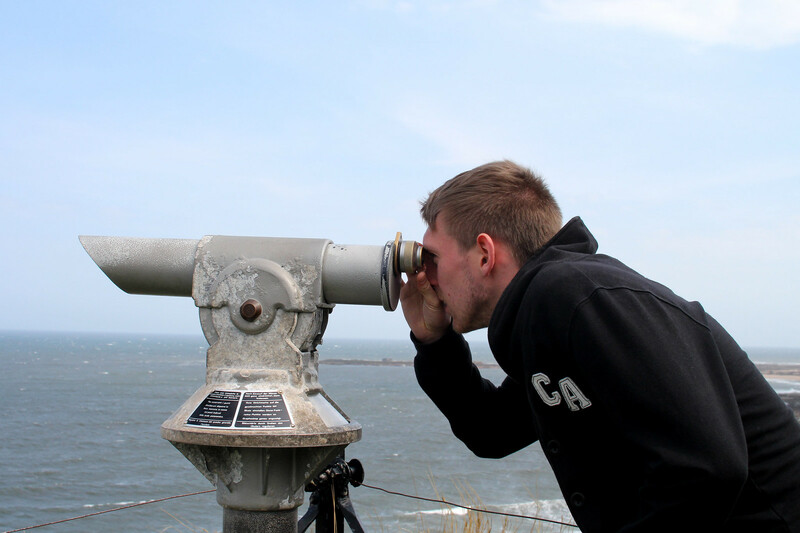 A little further along the coast you’ll find the National Museum of Flight. Tickets are £12 for a duets so it’s one of the more expensive attractions, but it is extensive and will take a whole day to visit! Although probably easiest accessed by car, there is also a regular bus that runs from Edinburgh to North Berwick dropping you straight off at the door. Catch the 121 bus, which drops you off and picks up on the grounds itself. The National Museum of Flight also offers the Concorde Experience, allowing you to get up close and personal by even boarding the plane. 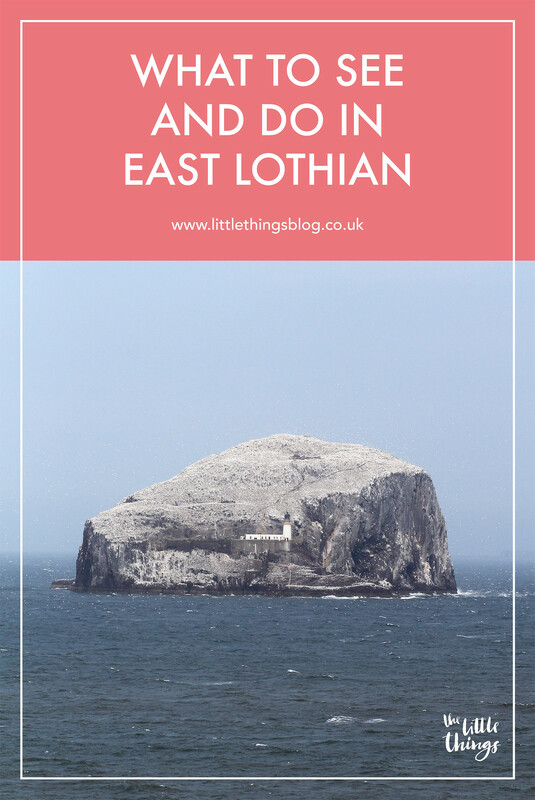 I hope this guide to East Lothian has helped inspire you to make a visit. 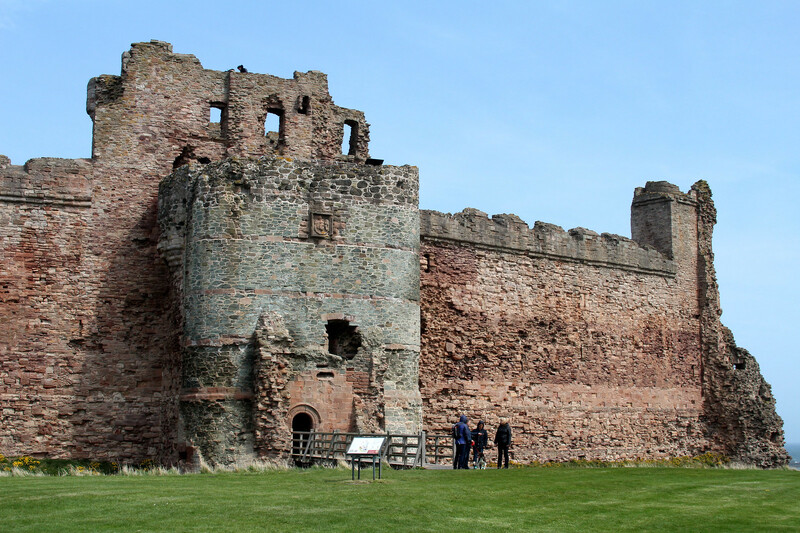 What are your favourite things to do in East Lothian?